This project will focus on the Reef Ranger programmes on Kia Island and the Great Sea Reef, aimed at educating the community about the threats resulting from increasing fishing pressure on the marine ecosystem. In 2013 the team reported that this award enabled the project to provide hands-on training and assessment for ten additional Conservation Ambassadors to expand the Reef Rangers Programme, a youth group developed to empower and educate the community about the threats facing their natural resources. 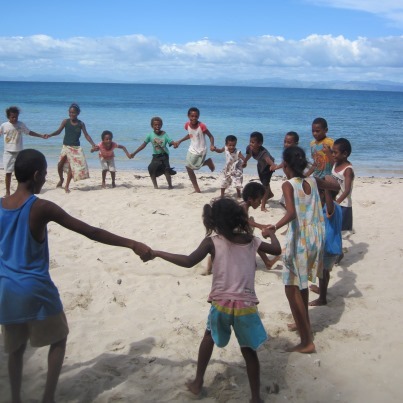 Project update: Akosita Rokomate, leader of the 2012 Award project ‘Building Blocks for Youth Empowerment in Marine Conservation’, reports that her hardworking team, comprised mainly of community volunteers, has maintained the momentum of the Reef Rangers programme. The Reef Rangers, a youth group developed to empower and educate the community about the threats facing their natural resources, is continuing its marine conservation education and awareness through lessons and activities at the project site on Kia Island in Fiji. Enthusiasm and interest remain high as they gear up for the annual end of year Eco Festival.